This is a three foot length of TQ Wire 16awg Silicone Wire. 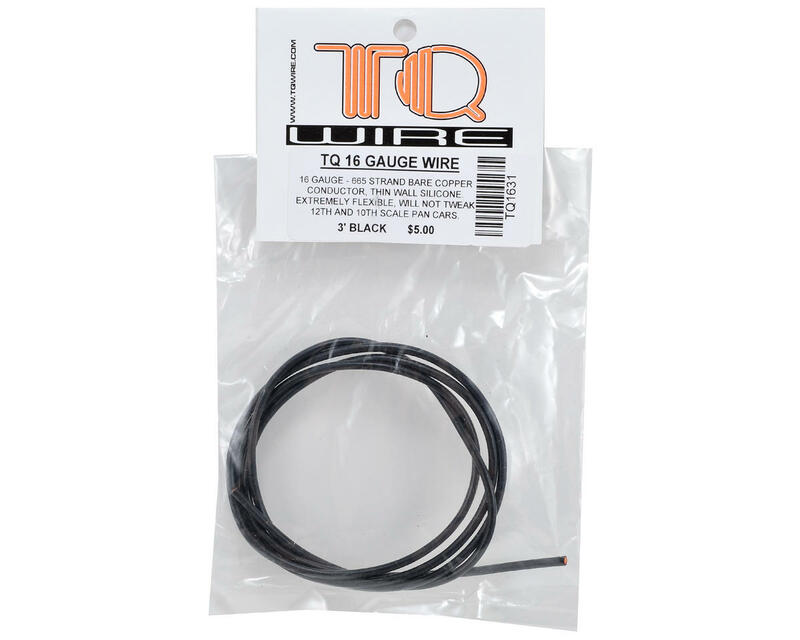 TQ 16 Gauge wire is constructed with 665 strands of bare copper and thin wall silicone insulation. 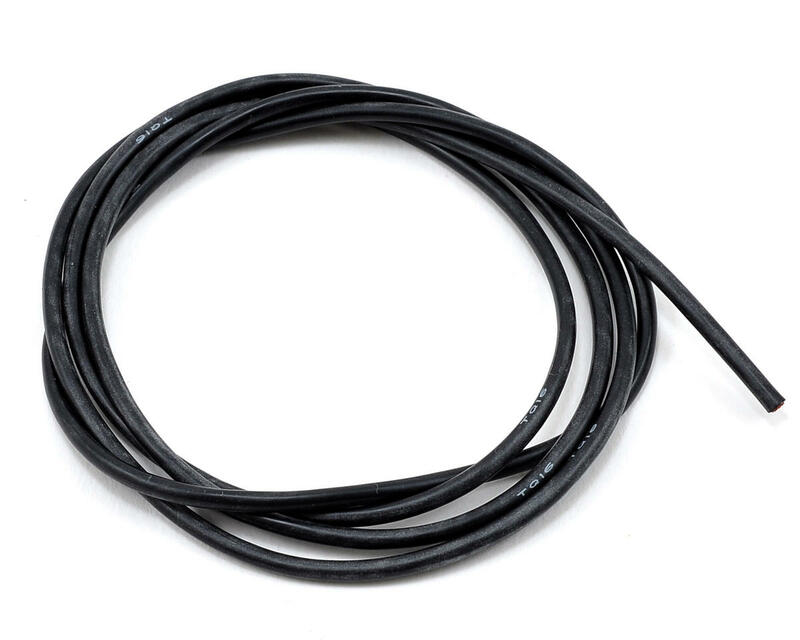 This wire has a 2.4mm outer diameter, is extremely flexible, and absolutely will not tweak 12th and 10th scale pan cars, even with brushless systems that require 3 wires to the motor! By far the best wire out there for a 12th scale car. Stays flexible and doesn't cause the pod to tweak.